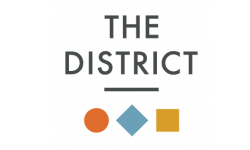 Welcome to The District Flats! Our apartments in Lenexa, KS encompass the absolute best of apartment style living. From our prime, convenient location to our impressive slate of features and amenities, each detail blends into the ultimate living experience. We have multiple floor plans to choose from. With one- and two-bedroom options, as well as studio apartments to choose from, you'll find exactly the right size of home you need to support your lifestyle. Elegance blends with the comforts of home at The Districts Flats. Our location near Lenexa City Center offers our residents direct access to major highways, great shopping, and lively entertainment. We are right off I-435, with quick access to Kansas City and the surrounding metropolitan area. City Hall and the Lenexa Civic Center are just down the road so you won’t ever have to miss out on any fun city events. Our residents love everything our location here in Lenexa has to offer, and you will too! Our city center location is only part of what makes our apartments so special. They are meticulously designed to include access to exclusive in-home and community amenities. In your home, you will enjoy stainless steel appliances, hardwood style floors, marble countertops, programmable thermostats, oversized closets, and more! Beyond the walls of your home, you will discover exciting community features like our 5th floor tower lounge, swimming pool, yoga/spin and strength/cardio fitness centers, and plenty more perks that come with living here at The District Flats. You’ll love being within walking distance of several great restaurants, shopping stores, and entertainment venues. Our Lenexa City Center location allows you access to the very best that downtown Lenexa has to offer. Our recently developed neighborhood is constantly growing! And on top of it all, our apartments are pet-friendly with no weight limit! Call us today for a private tour of your new home!